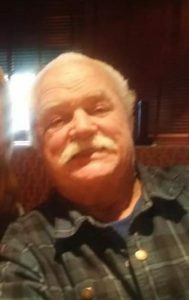 A 76-year-old Thousand Oaks resident was reported missing Saturday after he did not return home from visiting a relative at Los Robles Hospital Friday afternoon. Donald Stevens left his house for the hospital Friday at 3:00 pm, but has not been seen since. He was driving a gray Honda Accord sedan with a California license plate of 7ZPK098. Stevens suffers from dementia and is an insulin-dependent diabetic. However, he did not take his medications with him. Stevens is described as a white male, 5’5” 180 lbs. with white hair and blue eyes. He has a mustache and was wearing a long sleeved black and blue shirt, blue jeans, and brown shoes. Anyone with information about Stevens’ whereabouts should call the local law enforcement agency or the Ventura County Sheriff’s Office at (805)654-9511. The California Highway Patrol also issued a Silver Alert in Ventura and surrounding counties to help locate Stevens. Please click here to view all News Stories from April 2018. Mandatory Evacuations Lifted – Areas East of Erbes Rd. And West of Westlake Blvd.